With the potential for civil fines and federal prison time, any federal healthcare fraud investigation must be taken extremely seriously. 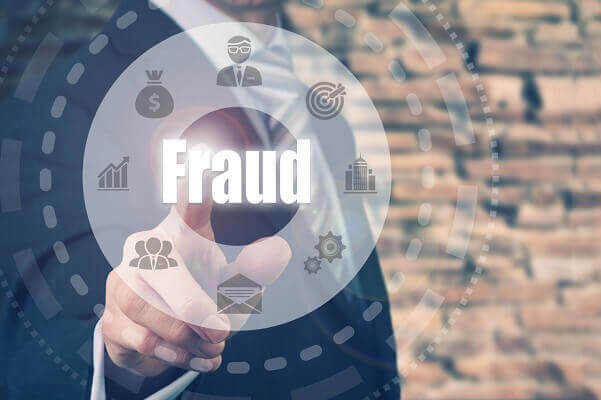 Learn what to do when you are facing an investigation by the Department of Justice (DOJ), the Department of Health and Human Services (HHS), or any other federal agency in this article from the healthcare fraud defense lawyers of Oberheiden, P.C. Healthcare fraud is a serious federal offense that can lead to crippling fines and potentially years, or even decades, behind bars. The DOJ, HHS and other federal agencies are all cracking down on healthcare fraud, taking aggressive action to civilly enforce the law and criminally prosecute individuals and companies suspected of using improper billing practices, paying and accepting kickbacks, submitting false claims for reimbursement, and engaging in other forms of fraud. Successful takedowns are being highly publicized, and providers across the healthcare industry are increasingly finding themselves the targets of invasive federal investigations. In a large number of cases, these investigations are misguided. Federal investigators and prosecutors regularly pursue leads that result in investigations targeting innocent companies and individuals. Unfortunately, even if you are innocent, a federal investigation can be hugely disruptive for your business or practice. Regardless of the circumstances involved, you need to deploy an effective defense, and you need to do it as soon as possible. At the Oberheiden, P.C., we have decades of experience on both sides of federal healthcare fraud investigations. Led by Dr. Nick Oberheiden, the firm’s Healthcare Fraud Defense Group includes a team of former federal healthcare fraud prosecutors who contributed to the development of many of the federal prosecution strategies that are in use today. This unique inside perspective, coupled with our attorneys’ extensive defense experience, allows us to take swift and effective action to protect healthcare providers and others across the healthcare industry nationwide. 1. Make sure you know which agency (or agencies) is involved. One of the first steps toward defending a federal healthcare fraud allegation is knowing what – and who – you are defending yourself against. There are numerous agencies that investigate instances of suspected healthcare fraud, and the agency (or agencies) involved will factor significantly into your defense. In many cases, numerous federal agencies and tasks forces (such as the elite Healthcare Fraud Prevention and Enforcement Action Team (HEAT)) will be involved, and you will need to develop a defense strategy that effectively addresses each agency’s involvement. 2. Find out why you are being investigated. You also need to quickly discern the reason why you are being investigated. What are the specific allegations against you? Are you suspected of submitting fraudulent reimbursement claims to Medicare or Tricare (which could easily be the result of an honest mistake)? Or, are you being accused of some other form of healthcare fraud? In order to press charges, the government will need to be convinced that you or your company engaged in civilly or criminally wrongful conduct. Remember: They are the ones with the burden of proof. Once you know why you are being investigated, you can focus on defending each individual element of that specific offense in order to convince the government to drop the investigation. 3. Find out if the investigation is civil or criminal. In a civil case, you will face fines and other financial penalties, but prison time will be off of the table. At Oberheiden, P.C., we focus on keeping our clients’ investigations civil so that they do not face the possibility of incarceration. 4. Learn about your legal rights. You have rights during a federal investigation, and it is critical that you exercise them to the fullest extent possible. For example, in many circumstances, you do not have to give the government everything it asks for, and you obviously have a legitimate interest in not disclosing anything that could be harmful to your defense. In addition, one of your most important rights during a federal healthcare fraud investigation is the right to legal representation. You are not required to (and you should not) communicate with investigators or prosecutors in the absence of legal counsel, and the best way to protect yourself is to hire an experienced legal team as early as possible in your investigation. 5. Avoid common mistakes that can harm your defense. Federal agents are highly trained and skilled investigators know how to extract evidence that can be used in civil and criminal prosecutions. If you do not know your rights (and how to exercise them appropriately), you may end up feeding the government the information it needs to pursue a case against you. 6. Understand what defenses you may have available. While you (hopefully) have not yet been charged, now is the time to identify the defenses you will have available if your case goes to trial. Why? Because you can use these same defenses to prevent your investigation from leading to civil or criminal charges. If you can convince the prosecutors that you will win if your case goes to trial, you can shut down the investigation so that you can return to your normal life. 7. Learn what to expect during (and after) your investigation. 8. Understand what is at risk. Think your federal investigation will just go away? Think again. If your investigation leads to civil charges, you could face recoupment requests, treble (triple) damages, civil fines of up to $11,000 per violation, fees, and other financial penalties. For criminal offenses such as Medicare and Tricare fraud, you can face up to 20 years in federal prison. 9. Hire an experienced healthcare fraud defense law firm. How do you find out which agencies are involved in your investigation? How do you find out if your case is civil or criminal in nature? The answer is simple: You need to engage an experienced legal team as soon as possible. At Oberheiden, P.C., when we take on a new client, one of our first steps is to reach out to our government contacts to learn everything that we can about our client’s investigation. The sooner you contact us about your case, the sooner we can intervene in the government’s investigation and begin building your defense. 10. Start building your defense strategy now. In federal healthcare fraud investigations, this early intervention is critical. To help our clients protect themselves, we have developed an “Emergency Defense Package” that provides instructions, protocols, and forms specifically designed to address the unique circumstances involved in federal healthcare fraud investigations. While our attorneys will deal with the investigators and prosecutors for you, you will still need to play an active role in your defense. Oberheiden, P.C.’s “Emergency Defense Package” is your toolkit for protecting yourself and your company. Schedule a Free Case Evaluation at Oberheiden, P.C. If you would like to speak with our team of experienced defense attorneys and receive our “Emergency Defense Package,” we urge you to contact us right away. When you contact us, we will provide you with a free, thorough case evaluation, and we will help you start making informed decisions about responding to the government’s investigation. If you are being investigated for federal healthcare fraud, you do not have time to waste. Call (800) 701-7249 or request your free case evaluation online and get started on your defense today.